A century ago, Argentina was one of the world’s most prosperous economies. Today, about a third of the country’s population lives in poverty. As inflation rockets higher, living standards are worsening: over the decades since Argentina’s Belle Époque, periods of robust growth have been scattered among deep recessions, political upheaval and public unrest. 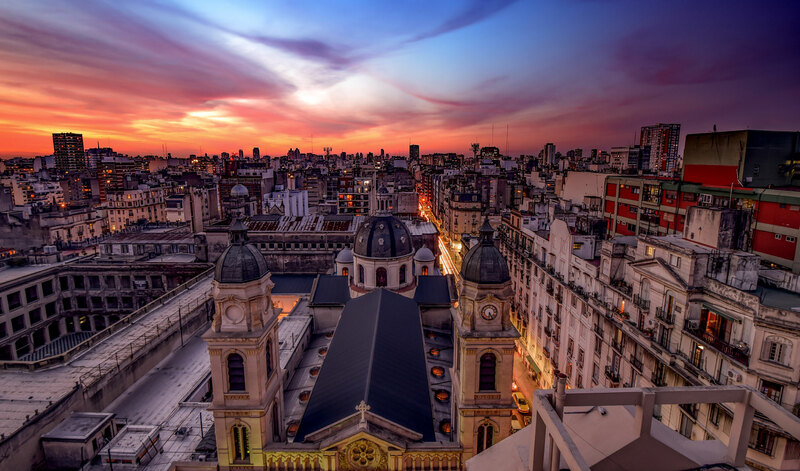 Throughout the twists and turns of Argentina’s economic history, Buenos Aires has remained something of a bright spot for the country. In recent years, the city’s burgeoning design scene and its status as the birthplace of some of Latin America’s most vibrant tech start-ups have amplified that effect. In the late 1990s and early 2000s, four companies were founded in Buenos Aires that reached a valuation of over $1bn. Today, these companies remain four of just six tech unicorns in Latin America: they include e-commerce platform MercadoLibre; leading travel site Despegar; software development company Globant; and OLX, a marketplace platform for the region. With a fresh generation of entrepreneurs creating innovative start-ups, Buenos Aires could be on the cusp of a new golden area. But as Argentina grapples with yet another economic downturn, the city’s ambition of becoming a global tech hub hangs in the balance. Argentina’s economy swelled following the election of President Mauricio Macri in 2015 as investors warmed to the first liberal government in decades. Macri had plans to open Argentina’s economy back up to the global market, and foreign investors showed their confidence in this mission by increasingly allocating capital to Argentina-based companies. More local funds began to emerge, too, according to Sebastián Aldasoro, Chief Marketing Officer at NXTP Labs, one of the region’s largest investors. Foreign direct investment in Argentina had dropped to just $5bn in 2014 from highs of $15.3bn in 2012, according to figures from the UN Conference on Trade and Development. However, between the end of 2015 and August 2018, a total of 674 companies had announced $115bn worth of investment across 925 projects, the Argentine Agency of Investment and International Trade’s figures show. The US and Spain were among those fuelling record international investment figures in Argentina, Jaime Pérez-Seoane de Zunzunegui, Oxford Business Group’s Managing Editor in the Americas, told Business Destinations. This much-needed progress was threatened in 2018, however, as one more economic boom went bust. The peso plunged against the dollar, losing about half its value over concerns that the government would not be able to rein in inflation while the country’s dollar-denominated debts soared. At the same time, the worst drought in 50 years caused Argentina’s key agricultural sector to contract by half. In June, the country was forced to go to the International Monetary Fund (IMF) for a $57bn bailout package, and in September the IMF approved another $7.1bn, making it the biggest programme ever approved by the fund. Several underlying factors – such as market-friendly policies and the country’s large internal market – remain promising. The IMF predicts Argentina’s economic growth will recover over the medium term under the steady implementation of reforms and returning confidence. Inflation is set to gradually decline in 2019, and in the first three months of the year, the IMF said the recession would bottom out. By the second quarter, Argentina should enter recovery mode. While the IMF loan proves Argentina is still far from achieving the stability that investors crave, de Zunzunegui said the country is now on the right path: “On the capital markets side, this was shown by [Argentina’s upgrade to] emerging market status by MSCI back in the summer.” The country had dropped to frontier status in 2009, but it was promoted in 2018 after MSCI said international institutional investors “expressed their confidence in the country’s ability to maintain current equity market accessibility conditions”. While the weaker peso has hindered Argentina’s progress in many ways, one positive side effect is the growing number of international tourists to the country. Of all the countries in South America, Argentina received the most international visitors in 2017, with 6.7 million tourists, up from 5.6 million in 2010, according to the UN’s World Tourism Organisation. This number was expected to reach seven million in 2018. In Buenos Aires, tourism has been particularly sustained – by February 2018, the city had seen 16 consecutive months of increased tourist numbers. Additionally, government statistics based on flight bookings to Buenos Aires showed air travel reservations for the period of July to December 2018 increased by a quarter. One of the city’s major draws for international tourists is its emerging design scene. Between 2004 and 2012, the government said the city’s creative sector grew by over 89 percent in real terms. Today, Buenos Aires is dotted with high-quality museums, galleries and design districts, and once a year it hosts Latin America’s biggest art festival, arteBA. Buenos Aires’ status as an international design destination has been a long time coming. The city became the first to ever earn UNESCO’s City of Design title in 2005, a designation that was created to promote cooperation with and among cities that have identified creativity as a strategic factor for sustainable urban development. In 2018, Buenos Aires became the first participant in the Art Basel Cities programme, an international project bringing together the art world and nascent art capitals. Through this multiyear programme, Art Basel will work to bridge the gap between the city’s local art community and the art world’s elite to amplify Buenos Aires’ position as a cultural destination of choice. Increasingly, tourism is accounting for a larger proportion of Argentina’s GDP. According to the World Travel and Tourism Council, the total contribution of travel and tourism to Argentina’s GDP in 2016 was $53bn, or 9.6 percent of total GDP. This was larger than the impact of the banking and mining sectors and five times the size of the automotive manufacturing industry’s contribution. Buenos Aires has distinguished itself as a city for design, but something else that sets it apart from other destinations is its booming tech start-up sector – the second biggest in the region behind Brazil’s São Paulo. The tech sector across Latin America is thriving with the rise of disruptive ‘technolatinas’, which the 2017 Tecnolatinas Radar Report defines as technology-based private companies created in the region. “Latin America is witnessing the emergence and growth of a new species of companies that is transforming our business landscape,” the report said. Of the more than 5,000 technolatinas worth $38bn across Latin America, 82 percent of the value comes from Argentina and Brazil alone. An estimated 20 technolatinas, or 16 percent of the total, are located in Buenos Aires, including nine companies with an estimated valuation of more than $100m each. Over the past decade, the city has become more accommodating to start-ups. Under Macri, who was the mayor of Buenos Aires from 2007 to 2015 before becoming president, the city prioritised entrepreneurship and innovation. In 2008, in the hope of developing innovation, technology and knowledge in the city, Macri established an area of Buenos Aires called Distrito Tecnológico, or the Technological District, in Parque Patricios. Before its transformation into a technology hub, the area lacked vital transport links and commercial activity. Now, the district is home to the Instituto Tecnológico de Buenos Aires, a prestigious engineering university, and more than 200 local and global businesses. Boosted by focused public investment efforts, such as commercial tax relief, a subway station and a bike-sharing scheme, the neighbourhood exhibits a new life and vibrancy. The government has also invested more than ARS 15m ($400,905) into accelerator projects such as the Aceleradora BA Emprende, which offers seed capital to start-ups. In 2018, the city launched a programme called IncuBAte, a government-funded accelerator that provides mentorship, equity-free funding and coworking spaces. These programmes create opportunities for Argentina’s entrepreneurs, who Aldasoro said have remained resilient despite structural issues. Incubator and accelerator services financed by the city government and through public-private investment schemes have supported more than 30,000 entrepreneurs since 2008, helping to generate a further 10,000 jobs. Even amid ongoing political and economic issues, the talent pool in Buenos Aires has remained strong due to the city’s solid base of students. Estate agent Savills’ Tech Cities 2017 report said Buenos Aires’ talent pool was above average due to the city’s youthfulness, level of tech education and ability to attract talent. Buenos Aires is a “magnet for talent in [its] region”, the report said, and it “has the potential to become a major world player”. Government figures show that around 150,000 people in Buenos Aires work at entrepreneurial companies. However, starting a business in Argentina is still complicated. Despite the fact that Argentina has made reforms to its business registration process, it still ranked low on the World Bank’s latest Doing Business index, in 119th position out of 190 countries. Business innovation in Argentina was also uneven and below regional peers such as Chile, but the OECD report said a “general weak performance” in terms of innovation “contrasts with remarkable success cases”. Yet spending on research and innovation was still relatively low, amounting to just 0.61 percent of GDP – about half of what Brazil spent and a fourth of the OECD’s average of 2.4 percent. This gap is something the government has acknowledged; it plans to increase spending to 1.5 percent of GDP. Between 2013 and 2017, international investment in Latin American start-ups more than doubled, with 25 new investors entering the region in 2017 alone, including SoftBank, Didi Chuxing and TPG’s global impact fund, the Rise Fund. In Argentina, $71m was invested across 19 deals in 2017, compared with $23m across 26 deals the previous year. Foreign investors in the country include the Rise Fund in coding school Digital House and Tencent Holdings in satellite company Satellogic. Top investors George Soros and Steve Cohen have also jumped into Argentine investments with the Buenos-Aires-based mobile banking start-up Ualá. Even UNICEF got involved in 2018 by investing in software development firm Atix Labs through its Innovation Fund, which aims to finance early-stage and open-source technology that could benefit children. The question remains, however, whether the country’s tech sector can continue to grow in the face of Argentina’s economic pressures and regulatory hurdles. For instance, while incubator programmes focus on the city’s smaller start-ups, the real challenge comes when a business attempts to make the leap to become a medium or larger-sized company. “Big tech companies there face the same problems as all the other big companies there, which are burdensome labour laws, burdensome taxes and labour taxes,” said Kevin Garrahan, management a consultant who studied Argentina’s tech sector as part of a graduate programme at the Johns Hopkins University School of Advanced International Studies. The Macri administration has made efforts to make it easier for entrepreneurs to register new businesses and create new channels of financing. For instance, the Entrepreneurship Law of 2017 sped up the approval process for financing procedures that, under an older law, took nearly a year to complete. Under the new law, founders can undertake all relevant procedures online. New avenues were also opened up for investors and venture capitalists through the creation of the Fiduciary Fund for the Development of Venture Capital, through which public funding can be allocated to co-invest with private funding. However, it remains difficult for companies to grow past the start-up stage. Argentina’s labour market regulations are one hurdle: the OECD report said labour rules must strike a balance between protecting workers’ rights and avoiding excessive rigidities that can hamper the functioning of the labour market. Further growth of Buenos Aires’ tech sector will be vital for attracting international investors who are still wary of Argentina’s past economic performance. This is key, as the city is ripe for innovation with a robust pool of entrepreneurs and disruptive start-ups. Buenos Aires is already a regional success story, but officials must ensure that barriers to innovation and business creation are reformed if local companies are to make the leap onto the world stage. For the 15th time, national and international tattoo artists will flock to Buenos Aires in March for one of the largest professional tattoo shows in the country. Over the course of three days, thousands of ink lovers will attend exhibitions and contests to learn more about the ancient art form. When in Rome, do as the Romans do – and when in Argentina, do the tango. Widely regarded as one of the most important tango events in the world, CITA, the International Argentine Tango Congress, brings the best dances together for milonga sessions as well as lectures, tutorials and professional workshops. This American music festival originated in Chicago in 2003, but has since spread around the world. In 2014, Lollapalooza held its first festival in Argentina, and it was a roaring success. This year, the annual event will feature artists including Arctic Monkeys, Kendrick Lamar and Lenny Kravitz. Buenos Aires’ annual film festival celebrates the filmmakers from across Latin America who are creating innovative, avant-garde feature films or shorts. The internationally recognised festival offers premiers, screenings, talks and presentations throughout the city. The 28th annual Buenos Aires art fair, arteBA, will take place in the city this April, bringing together around 100,000 people to celebrate local artists. The four-day festival – arguably the most important contemporary art fair in Latin America – exhibited the works of more than 500 artists in 2018. More than a million readers from all over Latin America will gather in Buenos Aires for the top annual literary event in the Spanish-speaking world. The event will include more than 1,000 literary events, featuring activities targeted at professional audiences such as teachers, librarians and translators. Argentina is one of the best footballing nations in the world, and watching the Buenos Aires’ Boca Juniors play in La Bombonera is an unbeatable experience. The team will play the group stages of the 2019 Copa Libertadores, South America’s premier club football tournament, throughout March, April and May. The Mataderos fair brings traditional Argentine food, crafts and gauchos (the cowboys of Argentina) from the countryside into the city. Every weekend around 15,000 people flock to the market to visit up to 700 stands selling gaucho crafts and leather goods, and to watch dance and horse-riding performances.